And so begins the Year of Georgia! Lurching from salsa classes to spy school, Georgia discovers a taste for adventure. Her biggest thrill so far? Flirting with danger—aka the enigmatic Zander. But admitting she’s ready for more than just a fling…? Definitely Georgia’s scariest challenge yet! 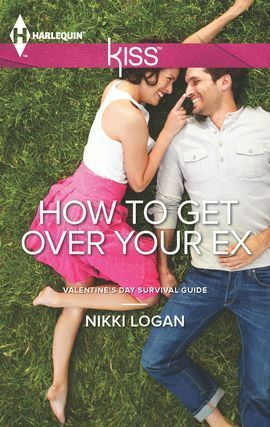 How To Get Over Your Ex by Nikki Logan is a cute contemporary romance that actually took a bit of time building up the relationship within. Georgia Stone had thought for sure that her long time boyfriend would be ready for marriage so she signed up for a radio promotion to propose to him over the air. Needless to say that proposal did not go well for Georgia and all she wanted to do was curl up and cry. Unfortunately for Georgia though she had signed a contract with the station and even with the proposal being a flop the producer, Zander Rush, was quick to remind Georgia of her contract. After a bit of thinking on how to salvage the special that obviously wasn’t going to end in a wedding Zander proposed that Georgia share her life with the followers and her recovery from the break up. This began the Year of Georgia promo with Zander and Georgia reluctantly pushed together for the sake of ratings. How To Get Over Your Ex was a nice little read with likable characters and a fun situation. The story actually unfolds more of a self discovery with Georgia spending time doing all sorts of fun events as part of the radio promo but with Zander always in tow representing the station. Lots of time to develop an attraction between the two instead of rushing them together like so many stories do. Nikki Logan lives amongst a string of wetlands in Western Australia with her partner and a menagerie of animals. For many years she worked in advertising and film distribution before finally settling down in the wildlife industry. 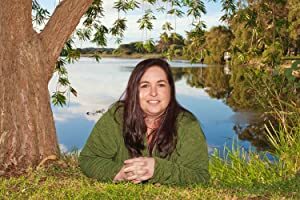 It wasn’t until Nikki had six months off work in 2007 that she applied herself to writing her first novel. Well and truly bitten by the writing-bug, she wrote more novels after her return to work and hasn’t looked back since. She now writes full-time with her dogs at her feet and a hot chocolate always steaming.